June 4 – Cambridge River Festival along Cambridge Parkway and Lechmere Canal. March 12 – Under the guidance of Coach Lance Dottin, Cambridge defeated Lowell by a score of 54-38 to win the Division 1 North Championship. March 14 – At the Boston Garden, the Falcons won over Catholic Memorial in the semifinals by a score of 77-73. March 19 – In Springfield, Cambridge defeated St. John’s by a score of 66-51 to win the Division 1 State Championship. Mar 11 – Announcement by Richard Rossi that he would not seek a contract extension as City Manager. Sept 12 – Reappointment of James Monagle as City Auditor. Sept 12 – Reappointment of Donna P. Lopez as City Clerk. Sept 29 – Appointment of Louis DePasquale as City Manager. Mar 28 – Death of Election Commissioner Peter Sheinfeld. April 14 – Death of Suzanne Schell Pearce. In the wider world, let’s take special note of the passing of musicians David Bowie (Jan 10), Glenn Frey (Jan 17), Paul Kantner (Jan 28), Keith Emerson (Mar 11), Prince (Apr 21), Leonard Cohen (Nov 10), Leon Russell (Nov 13), and Greg Lake (Dec 7). Sept 19 – DPW Commissioner Owen O’Riordan reported on issues relating to the implementation of the Polystyrene Ordinance. May 2 – City Council Order seeking to publish a Cambridge voter guide to be distributed to each household in Cambridge a month before the 2017 municipal election. June 13 – City Council Order asking that Cambridge operate at least 5 early polling locations, for the entire day, for the entirety of the 11-day early voting period. June 13 – City Council Order asking to explore voter reward options for municipal elections. June 20 – City Council Order to hold hearings of the Neighborhood & Long Term Planning, Public Facilities, Arts & Celebration, and the Government Operations committee to discuss different models for campaign finance reform and publicly-funded municipal elections in Cambridge. Mar 21 – The City Council adopted the Complete Streets Policy and Council Order. Mar 21 – The City Council adopted a Policy Order committing Vision Zero, a set of goals of eliminating transportation fatalities and serious injuries. Apr 25 – City Council Order requested information on the feasibility of waiving the motor vehicle excise tax for electric vehicles. Apr 25 – City Council Order asking if any progress has been made on the willingness of the City of Cambridge (and local developers) to contribute to a successful Green Line Extension. May 9 – City Manager Richard Rossi communicates to City Council that City intends to commit $25 million toward successful completion of the Green Line Extension (GLX) Project. Somerville will commit $50 million and Medford will also commit funds. June 9 – Grand Opening of the first phase (Main Street to Broadway along Galileo Galilei Way) of the Grand Junction Pathway. June 20 – Communication from Richard C. Rossi regarding the acquisition of two parcels of the Watertown Branch railroad from B&M Corporation for the purpose of creating a future multi-use path and greenway. June 27 – City Council Order regarding feasibility of the City of Cambridge filing its own home rule petition to reduce local speed limits (as Boston was then also seeking to do). Sept 12 – City Council Order asking City Solicitor and other relevant City departments to report back to the City Council on next steps on how to go about lowering our speed limits as well as the timeline for these actions. Sept 12 – City Council Order seeking to increase the parking permit fee and consider other changes to towards reducing vehicle miles traveled and promoting alternative forms of transportation. Sept 26 – City Manager Richard Rossi conveys City’s Agreement with MassDOT and MBTA regarding funding contribution agreement for Green Line Extension Project. Oct 17 – City Council Order seeking to form a Vision Zero Working Group comprised of staff from the relevant City departments and residents to collaboratively develop and review traffic safety plans, street designs, public education initiatives, traffic enforcement and related policies with the shared goal of eliminating crashes that result in serious injuries and deaths as quickly as possible. Oct 17 – City Council Order seeking to restrict the routes of travel and delivery hours of oversized trucks on City streets. Nov 7 – City Council adopts Chapter 218 of the Acts of 2016, “An Act Modernizing Municipal Finance and Government”, Sections 193 and 194 giving municipalities the authority to reduce speed limits on all ways other than state highways. Sept 12 – City Council Order asking for hearing of Transportation and Public Utilities Committee to discuss how City staff review use of bike infrastructure to determine what works, what does not work and what could be improved and to specifically discuss the possibility of making the Western Avenue cycle track a two-direction bike facility. Oct 17 – City Council Order seeking information from Community Development Department and the Cambridge Police Commissioner on specific recommendations and measures the City should consider in order to prevent future bicycle accidents and fatalities from occurring, and to make our streets safer for bicyclists, motorists, and pedestrians. Oct 17 – City Council Order calling for pilot system of flex-post separated bike lanes and intersections, along Massachusetts Avenue, Hampshire Street, and Cambridge Street. Oct 17 – City Council Order to schedule hearing of Neighborhood and Long Term Planning, Public Facilities, Arts and Celebrations Committee to discuss the possibility of adding a bike-bus lane to Pearl Street and any measures that can be taken to accommodate on-street parking preferences of residents. Oct 17 – City Council Order asking to include separated bicycle facilities or adjacent off-street paths in any plans for reconstructing all or part of Massachusetts Avenue. Oct 17 – City Council Order seeking a pilot program of segregated bike lanes on Massachusetts Avenue between Cedar Street and Harvard Square; on Cambridge Street between Inman Square and Quincy Street; and on Broadway between Prospect Street and Quincy Street. Oct 17 – City Council Order asking for segregated bike lanes on both sides of Huron Avenue for the full length of its reconstruction. Nov 7 – City Council Order seeking a deadline of Nov 1, 2017 for fully implementing the various street improvements and safety measures for increasing bicycle safety that were passed during the Oct 17, 2016 meeting. Aug 1 – City Council Order seeking update on the status of the Classification of Commercial Land Use and Recommendations Study. Aug 1 – Committee Report of the Neighborhood and Long Term Planning, Public Facilities, Arts and Celebration Committee on topic of possible formation of a special working group tasked with developing a framework for the continued stewardship, curatorship and oversight of the Out of Town News Kiosk in Harvard Square. Sept 12 – City Council Order asking Historical Commission to produce a new status report that reviews the Harvard Square Conservation District’s effectiveness since 2005, and that considers whether new zoning regulations may be necessary to fulfill the community’s goals. Oct 17 – Committee Report of the Neighborhood and Long Term Planning, Public Facilities, Arts and Celebration Committee on the redesign of the Out of Town News Kiosk. Dec 19 – Ordinance Committee Report on zoning petition submitted by Nabil Sater, et al to amend the Zoning Ordinances in the Central Square Overlay District, Section 20.300 (a.k.a. – the Central Square Restoration Petition). This petition received unanimous approval by the Planning Board at its initial hearing. Sept 12 – Notification from City Manager of approval of the Kendall Square Foundry Development Partners as the development entity for the Foundry. Oct 3 – As part of the City’s continuing effort to plan for the future redevelopment of the Volpe National Transportation Research Center site in Kendall Square, the City Manager has appointed a "Volpe Working Group" consisting of residents of the surrounding neighborhoods – East Cambridge, the Port, and Wellington-Harrington – along with representatives of the Kendall Square business community and other community stakeholders. June 13 – City Council Order asking that the Mayor convene a Task Force charged with establishing recommendations for the City Council on what the ideal minimum wage in Cambridge should be, and how to best implement this increase without creating unintended consequences in Cambridge or elsewhere. June 20 – City Council Order calling for a joint hearing of the Public Safety and Housing Committees for the purpose of gathering testimony from stakeholders in the City regarding the impact of short-term rentals on our communities with a view in mind to draft an ordinance that meets the goals outlined above, and to refer that proposed ordinance to the Ordinance Committee at the appropriate time. Councillor Kelley’s June 20 Communication on "Short-Term Rentals in Cambridge: An Overview of Current Usage and Patterns as well as Policy Recommendations". Aug 1 – Committee Report of Public Safety Committee and Housing Committee on the presence and impact of short-term rental units (Airbnb, FlipKey, VRBO, etc.) in Cambridge. Sept 26 – Broadband Task Force recommendations and Tilson Report. June 20 – City Council approves this taking and related expenditure. City Manager Richard Rossi explained at the meeting that the facilities study as well as the $5 million renovation cost will cover three buildings – the newly acquired 859 Mass. Ave. building as well as 831 Mass. Ave. (the Lombardi Building) and 3 Bigelow St. (currently used for transitional housing). It is anticipated that 859 Mass. Ave. will be used for housing and 3 Bigelow St. will be converted to municipal uses and possibly joined to an expanded 831 Mass. Ave.
Sept 26 – After multiple City Council Orders calling for the City to take the long-derelict Vail Court property on Bishop Allen Drive, the City Manager brought in a recommendation and plan to take Vail Court by eminent domain. This was approved by the City Council, and the cost is now being challenged by the previous property owners. Now, on to 2017 – a municipal election year! This episode was broadcast on December 20, 2016 at 5:30pm. Topics included the Dec 19 City Council meeting and the Dec 13 meeting of the Economic Development & University Relations Committee on the topic of Harvard Square development and preservation. The hosts are Judy Nathans and Robert Winters. On the Table #1 and #2. Sidewalk sandwich board applications (CareWell Urgent Care, Esmeralda) languishing On the Table since being tabled by Councillor Devereux on Apr 25, 2016. Applications & Petitions #1, 2, 3, 4, and 6. 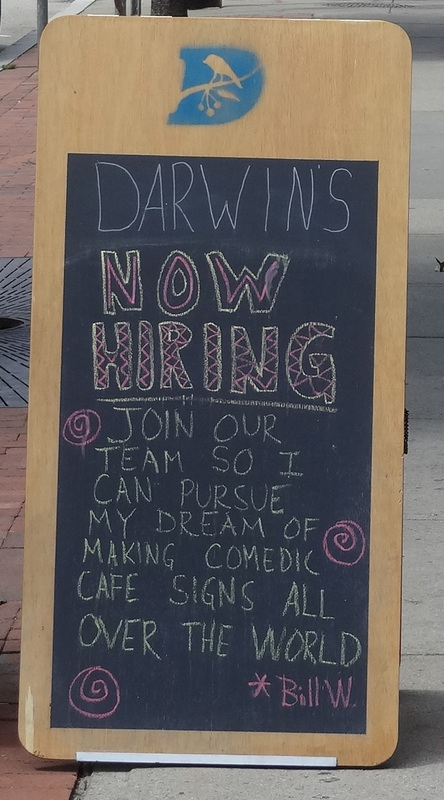 Applications and reapplications for sidewalk sandwich boards for Esmeralda, Honeycomb Creamery, Darwin’s Ltd., Marimekko, and Mundo/Lux. Normally I wouldn’t even bother noting such minor goings-on, but when did the lowly sidewalk sandwich board become such a big deal? This year has been the Year of the Mountainous Molehill with the Cambridge City Council focusing excessively on advertising and identification signs on buildings, and on darkening as many lights as possible. We’ll soon be a city of totally anonymous buildings that will only be identifiable via iPhone apps. Apparently the only signage that’s completely OK is graffiti. Bunches of Communications supporting the building of 100% affordable housing on the City-owned parking lots on Bishop Allen Drive. Needless to say, all housing is affordable to someone. So the real question is what mix of household incomes should be represented in any new housing that may be constructed on these sites? Is segregating people by income the best strategy in the long term? The beauty of Inclusionary Zoning is that it integrates people of different income levels within the same buildings. I hope that any housing that may be created on these parking lots at leasts tries to achieve some sort of economic integration. Most of the communications posted in the agenda make no reference to economic integration. In fact, they bear all the signs of an organized effort – nearly identical phrases transcribed in response to an appeal from a single source. This is a very nice gesture, but my understanding is that these police dogs (and I’ve met them all) were trained as bomb-sniffers at some expense and may not yet be eligible for retirement. If Rumba is nearing retirement age, I hope she gets a generous pension of dog bones and biscuits and gets to live happily ever after with Officer Neal. We all want to see the bones of Harvard Square kept somewhat intact even as new owners and new businesses replace others, and this building is certainly deserving of landmark status. That said, some alteration could still make for a better project. There is, however, something backwards about landmarking only after plans have been submitted. Wouldn’t it make more sense to identify and landmark buildings (or entire areas) before they are purchased for redevelopment? During a recent hearing on Harvard Square that was inspired by this development proposal, one public commenter offered an interesting proposal to create a mid-block alley through this property that would extend Palmer Street and serve as an interesting entryway to any businesses in this building. That would certainly disrupt the "historic facade" of the building, but it was an interesting idea that would be consistent with the many other alleyways and connections that are abundant in Harvard Square. 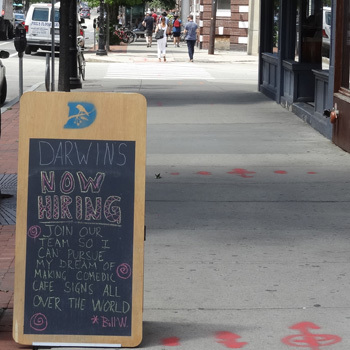 Personally, I just hope that any displaced businesses can be accommodated somewhere in the greater Harvard Square area, though we would certainly welcome them in Central Square or another Cambridge location. Committee Report #3. A communication was received from Donna P. Lopez, City Clerk, transmitting a report from Councillor Dennis J. Carlone, Co-Chair of the Ordinance Committee, for a public hearing held on Dec 1, 2016 to discuss the zoning petition submitted by Nabil Sater, et al to amend the Zoning Ordinances in the Central Square Overlay District, Section 20.300. This petition – the Central Square Restoration Petition – received unanimous approval by the Planning Board at its initial hearing. It usually takes at least two meetings, so that’s at least one measure of the quality of this petition. Central Square, however, has always been a political football, so I expect that some councillors will try to modify the petition in some ways, hopefully positive ways, in order to get their fingerprints on the football. It’s worth noting that the Planning Board characterized this petition as a good interim measure and made it quite clear that other changes to the zoning in Central Square might be forthcoming as the Envision Cambridge process navigates its way through the next couple of years. In a faded cotton dress. Or the rattle of her sigh. With big green rhinestone earrings. Like it does with old people. And who wants to be old? And push her out of the way. Poem "Central Square is a Grandma"
Please join us tonight from 6-7 p.m. in the Sullivan Chamber at City Hall when we announce this year’s winning Participatory Budgeting (PB) projects! Past winning PB projects include 100 new street trees, a public toilet in Central Square, water bottle fill stations, painted bike lanes, bilingual books for kids, bicycle repair stations, and many others. What projects will win this time? You decide! For more information, please visit pb.cambridgema.gov or contact Budget Office staff at pb@cambridgema.gov or 617-349-4270. See you at the PB polls! 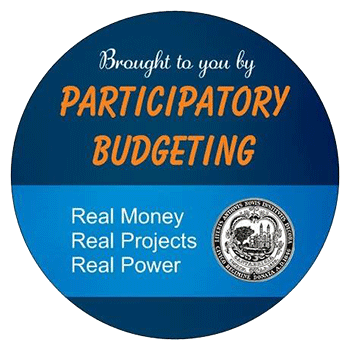 Comments Off on Participatory Budgeting Results Announced: December 14, 2016! Last week’s meeting was postponed due to the relief efforts associated with the Berkshire Street fire. 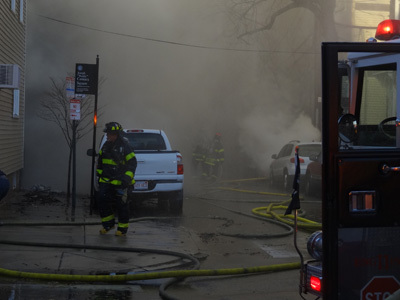 Any business then before the City Council paled in comparison to the devastation caused by the 10-alarm fire on Sat, Dec 3 in the Wellington-Harrington neighborhood. In the midst of it all it was great to see Cantabrigians pulling together to help residents directly impacted by the conflagration. This is a neighborhood where people identify buildings by the names of the families who inhabit them – some for generations. The economic sustainability of Hubway may require additional advertising revenue or increased user fees (currently $20/month or $85/year). Or you could just buy a bike and a good lock. Mayor Simmons has organized such events in the past and does a pretty good job at it. At some point, city councillors and City staff will have to start distinguishing between "building affordable housing" and "making housing affordable". As an interim measure, creating housing accessible to low and moderate income people who access it by applying to a government agency or quasi-governmental entity makes sense. However, this contributes to the division of housing into high-cost housing for the well-to-do and subsidized housing for the not-so-well-to-do. It doesn’t do much for those who are simply looking for an affordable place to live and who are not inclined to seek government-owned or government-controlled housing. Affordable options for most people should be available without having to apply to a governmental agency. These are both very timely, and if there’s any need to insert an emergency amendment to the Zoning Ordinance to facilitate this, the City Council should fast-track it. Hopefully there’s insurance money to cover most or all of the costs of rebuilding. So far it seems that City efforts and the efforts of the Mayor’s Office have been well-coordinated with the Red Cross and other agencies. Cambridge should be very proud of all these efforts and those of individuals who have stepped forward to assist with money, materials, and housing. 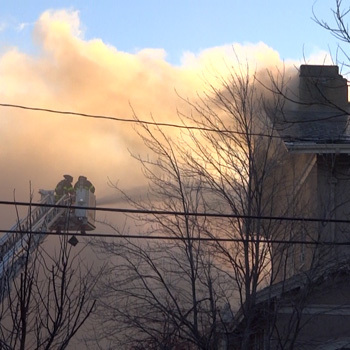 Though clearly motivated by the Berkshire Street fire, the reality is that most Cambridge residents and certainly most residents in this affected neighborhood are renters. Buildings can be rebuilt, but the loss of personal property can be equally devastating. People often don’t think about rental insurance, so this is, as they say, "a teachable moment". Though it may not make sense to lower the speed limit to 25 mph on a limited-access highway or an arterial road with relatively few street crossings, Fresh Pond Parkway and Alewife Brook Parkway both have many intersections where vehicles and pedestrians and abundantly present. Since Boston, Cambridge, and Somerville are all reducing the speed limit on City-owned streets, the DCR should do the same on all of their roads that operate like major city streets. Having uniform traffic standards regardless of ownership makes a lot of sense. This is a great idea. I certainly hope that City Councillor Timothy J. Toomey, Jr. will continue in his role on the City Council for years to come – maybe even as Mayor. Committee Report #1. A communication was received from Donna P. Lopez, City Clerk, transmitting a report from Timothy J. Toomey, Jr., Chair of the Transportation and Public Utilities Committee, for a public hearing held on Nov 16, 2016 to discuss gradually increasing the parking permit fee and to consider other improvements to the program to help fund the City’s budget towards reducing vehicle miles traveled and to promote alternative forms of transportation. This was the meeting where some city councillors (Mazen, Devereux) argued in favor of dramatic increases in the Resident Permit Parking fee. Basically, they would like to jack it up as high as they can politically get away with. Councillor Devereux wants to jack the fees up as a way of disincentivising automobile ownership – at least for those with lower incomes. She also noted that Uber does not have enough curb space to pull over and that this could be relieved by driving out resident parking from major streets. In a Twitter post recently she also expressed her desire to double Cambridge parking meter rates like Boston is planning to do in the Seaport District. Gee, thanks. Committee Report #2. A communication was received from Donna P. Lopez, City Clerk, transmitting a report from Councillor Dennis J. Carlone and Councillor Leland Cheung, Co-Chairs of the Ordinance Committee, for a public hearing held on Oct 27, 2016 to discuss a zoning petition by the City Council to amend four sections in Article 19.000 of the Zoning Ordinance of the City of Cambridge. This episode was broadcast on Dec 6, 2016 at 5:30pm. The main topic was the Berkshire Street fire. The hosts are Judy Nathans and Robert Winters.